A mold problem in your home is likely one of the worst findings you can experience. The worst parts about finding issues like this is that you’re not sure where the mold started, where else it might be and that awful feeling that it’s going to cost a bit of money to get the issue sorted out. To lower the risk of discovering a mold infestation in your home, take a few notes below on what might be telling signs that mold might be beginning to grow. With winter drawing to a close (we hope! 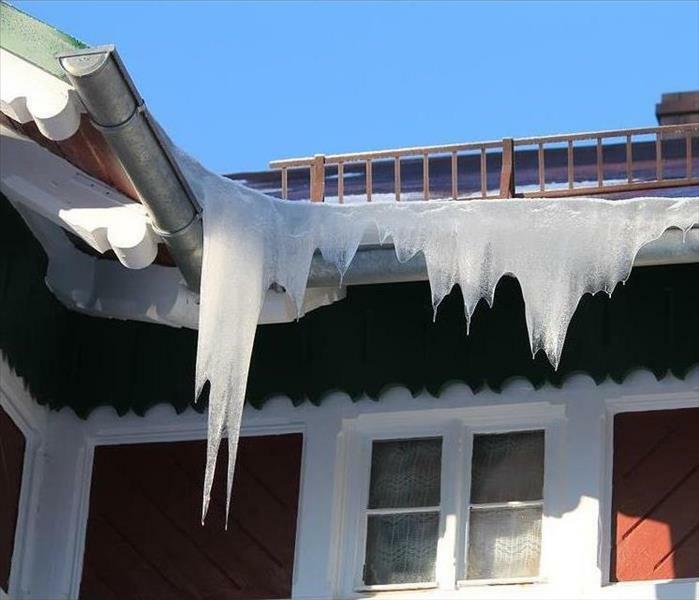 ), snow and ice is beginning to melt around and on top of your home. This creates an abundance of moisture, which can end up infiltrating small crevices and areas and possibly cause mold growth. Make sure that if you see any signs of moisture inside, you’re making an effort to dry ti out and seal it up before it becomes mold. Mold has the ability to cause health issues. Sometimes they mimic those of the common cold, like congestion, watery eyes and coughing. If you’re experiencing something similar to this and you have signs of mold in your home, it's probably time to have your home inspected. Mold has a distinct smell to it and it can surely create a nauseating odor within the area it occupies. This is usually one of the more telling signs of a mold presence, along with the actual sighting of the fungus. Should this be something you’re experiencing, it’s important to have it checked out, as soon as possible, for the sake of your health, as well as your homes. SERVPRO of Ronkonkoma is a locally owned and operated business with the team and resources to handle mold disasters of any size. We know that mold infestations can be stressful, especially during the winter, and we are here to make the restoration process as seamless as possible. For mold restoration services, call 631-585-0007 or contact us online for immediate assistance! As winter continues to its descent on Long Island, the harsh reality of the effects it can have on your home continue to become apparent. In addition to the snowfall and ice, mold is a commonly found issue in many homes when the temperature drops. For a number of reasons, mold should be something you’re looking out for all year round and we have listed a few of the main sources and causes below! As you are probably aware, mold is fueled by moisture, and when it’s in your home, it has the potential to cause big problems. If you’ve encountered a leaky pipe or cracked fixture, the escaping water might be leading to fast-spreading mold spores, who are thriving on your misfortune. If you believe you’re experiencing this, it’s imperative to have it taken care of --- as soon as possible. Mold is an unmistakable sight and it’s typically easy to pick out when it’s beginning to form inside of your home. What may come easier to detect than seeing it, however, is the smell that it gives off in the area in which it’s prominent. A musty strong odor that you’re not used to smelling is a huge factor in not only knowing that you’re experiencing mold, but helping you find your way to it. The smell can typically lead you to the main source, which will allow you to have it properly remediated. 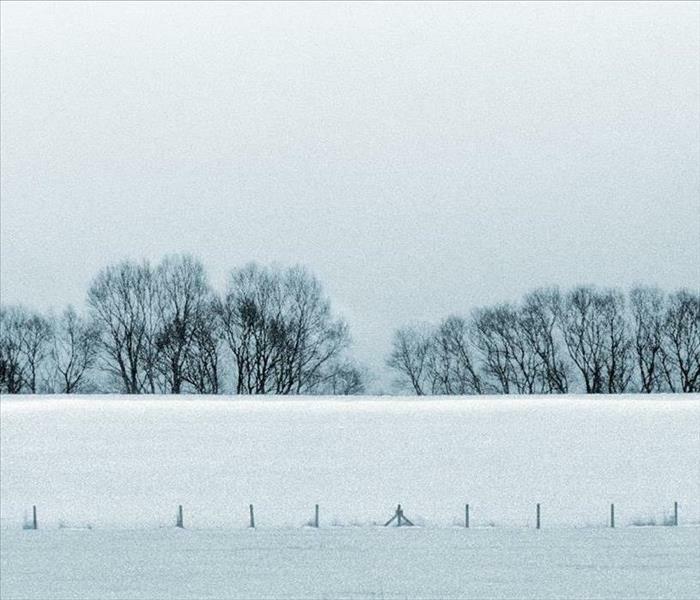 Let’s face it — the winter months are dry, with little humidity in the air. To keep healthy, this leads many of us to utilize cool air mist humidifiers. 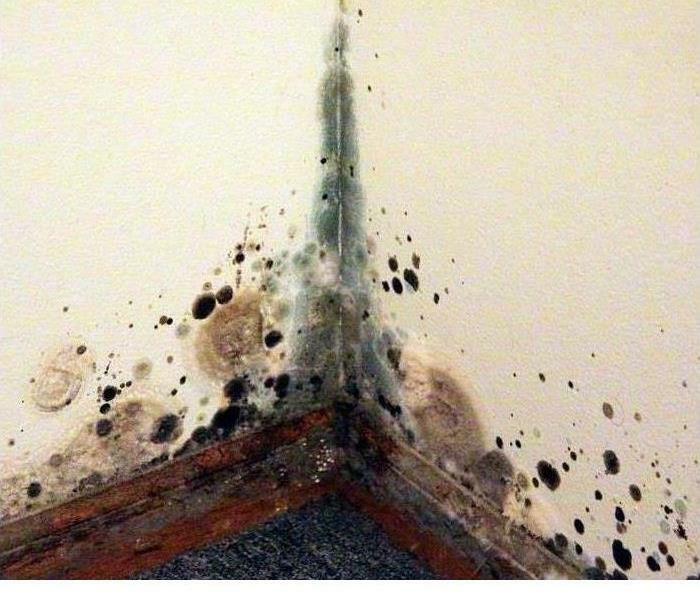 Just remember that too much humidity in your home, can also lead to mold spreading. Moist, damp heat is a paradise for mold spores, and believe it or not they can also travel through the air and into different parts of your home. Make sure you’re monitoring your home’s humidity level (roughly below 45 percent), and periodically check for any sign of mold growth in areas in which the moisture is at a higher percentage. SERVPRO of Ronkonkoma is a locally owned and operated business, with the team and resources to handle any size mold disaster. 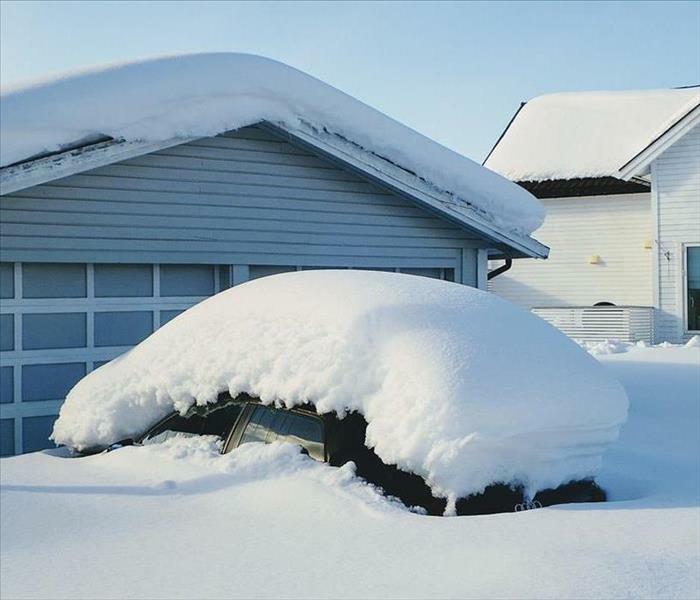 We know that issues like these can be stressful, especially during the winter, and we are here to make the restoration process as seamless as possible. For mold restoration services, call 631-585-0007 or contact us online for immediate assistance! We’ve all seen quick fixes for plumbing issues online, or heard of DIY remedies from friends and family. While these cures might work, they’re generally never long-term solutions to life’s plumbing problems. When something is acting up within your plumbing system, is it really an ideal solution to go at it yourself? We think not! Some of the smallest ‘fixes’ can always lead to big problems, which can lead to extensive and expensive water damage. Make sure you’re not making any of these mistakes below. When your pipe freezes, there are certainly a few moments of panic. What if it bursts? Surely this is the worst case scenario — and a leak is the last thing you need behind the walls. But if you’re going to take the classic ‘just heat it up’ advice, make sure you’re doing it correctly. If you’re using something to heat up the pipe, make sure your heat is not too hot. 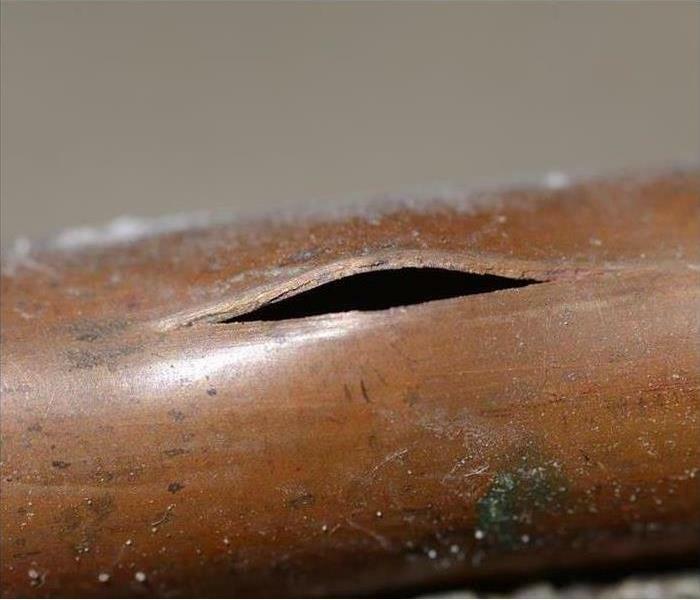 The quick change in temperature on something like copper can actually cause the pipe to expand rapidly and crack. Gradually increase the temperature around the pipe will eventually begin to melt the frozen water. Sometimes, removing small fixtures is simple and is easy to do on your own. Repairs however, can be a different story. Without properly disconnecting pipes and shutting off water lines, your quick DIY project can turn into a disaster in the blink of an eye. Make sure if you choose to take this project on yourelf that all of the preliminary boxes are checked off and you’re triple checking your own work to ensure that you’re not putting your home or business at risk for unnecessary water damage. Plain and simple, the ignorance of a potential issue is one of the worst mistakes to make in your home or business. If something seems like it’s not working the way it once was, get it checked out! There’s no harm in being proactive to a situation you’re unfamiliar with, and that type of tenacity just might save you hundreds, if not thousands in repair costs. However, keep an open mind and triple check to make sure that everything in your home is operating the way it should and is monitored closely if it isn’t. If your home or business has experienced water damage this season, there’s only one company who can quickly and effectively restore the area. With SERVPRO of Ronkonkoma, we take pride in our fast and effective response team, dedicated to getting you back up and running as soon as possible. Contact us at (631) 585-0007 for rapid response and service! During the cold winter months, there’s always the danger of a winter storm taking out power or causing injuries at your place of business. Luckily, there are things you can do to prevent water damage or personal injuries in your commercial or home business location. These things can save you and your business a ton of hassle during periods of inclement weather, when serious attention to safety is pivotal. Having a backup generator is a great way to keep your employees, customers, and yourself safe if there’s a dangerous storm or power outage. A backup generator will keep your heat on and allow you to power specific appliances and fixtures to continue business as usual. It is important to have a plan of action and to take care of snow removal on a regular basis when there is a heavy winter storm coming through. Clear walkways and make sure that there is no build up of snow against buildings, and on weak areas of your roofing. Preventing leaks and damage from these harsh elements is imperative to keeping your business safe during periods of inclement weather. 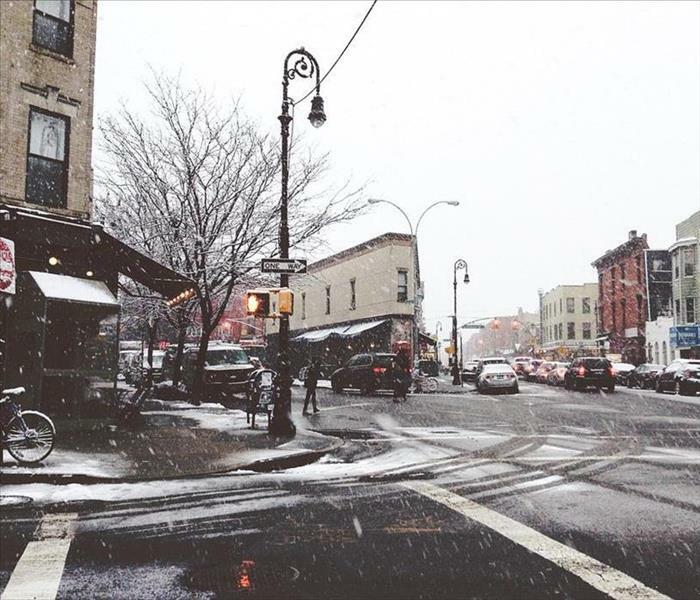 Make sure that you’re checking for a number of potential issues that may arise during the winter in your building. Slow flowing water is an indication that pipes may be freezing, and a higher heat bill may indicate gaps in your walls, windows or door frames. Not only can this let cold air in, but it can allow moisture and snow to find its way into your home and cause different types of damage. Winter storms can be unforgiving and it’s important to know that damage can, and sometimes will happen. Should your business suffer from winter storm damage, make sure you’ve equipped yourself to battle the damage and get your business back up and running as soon as possible. SERVPRO of Ronkonkoma is a locally owned and operated business with the team and resources to handle disasters of any size. For restoration services, call us at 631-585-0007 or contact us online for immediate assistance! Many contributing factors can bring on water damage in a number of different areas inside your home or business. Additionally, there are a ton of things that can cause damage in the winter -- and it doesn’t take much when temperatures are below freezing! Household appliance leaks and plumbing issues are prominent examples of things that can go wrong and cause big headaches. Don't assume that you can totally prevent or spot water damage with just your eyes -- damage is sometimes totally invisible, and that's where real danger lies. Since water destruction can also lead to the presence of hazardous mold, you need to be in tune with it to the best of your ability. If you have damage brought on by water or melted ice, there may be leaks finding their way through your walls, ceiling and other areas. Don't assume that you can always identify these things visually or at quick glance. Make sure to thoroughly inspect any weak areas in your home for signs of water damage or leaking. Damage can, in many cases negatively affect the flooring inside your home or business. 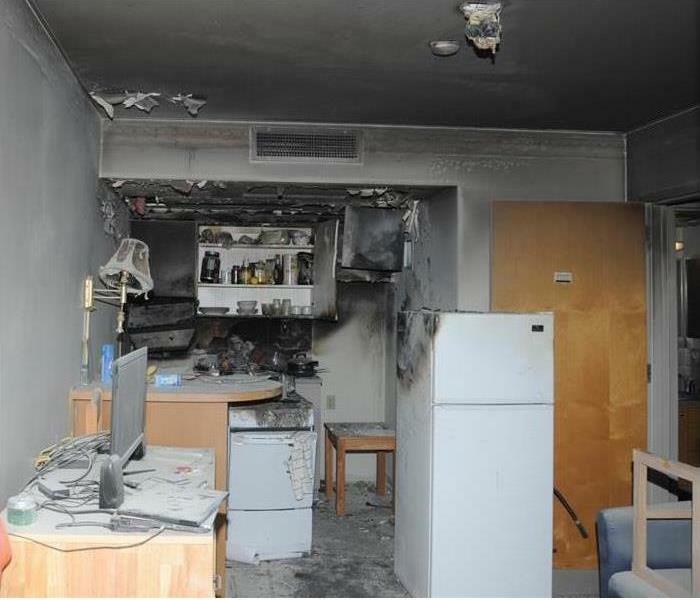 Indications of destruction, however, are not always 100% obvious. They can be particularly hard to see for the untrained eye. Easier signs of water damage include your flooring taking on a new color, plank separation, warping and more. Keep an eye out for this so you can make repairs before your damage becomes an immense project. Mold, for many people is a frightening substance to think about in your home or business. Mold can bring on all sorts of issues, including respiratory problems, odors, and major damage. Don't think twice when it comes to battling mold -- make sure to inspect your space! Not only can extended exposure lead to health issues, it can cause costly repairs at home. Should you encounter water damage this year at home or at your business, make sure you have it treated immediately in order to prevent high costs and more damage. To learn more about how SERVPRO of Ronkonkoma can help you, call us at 631-585-0007 or contact us online for immediate assistance! As stated, mold thrives off of moisture so the more that’s in your home, the easier it will be for the mold to continue to grow. To combat this from happening, make sure that there is an ample amount of heat in your home and you’re watching the humidity levels. During the winter, we have to ensure we add moisture to our environment with humidifiers, try to find a humidifier that monitors the humidity in your home. On the flip side, if you have those dark, cold and damp areas in your home, a cheap dehumidifier is a great option for your home if the mold is secluded to one area. Stagnant moisture has to go somewhere for the mold to go away, therefore, promoting ventilation is a great place to start. Opening your windows and turning on fans is a perfect solution in getting the air moving outward and away from the mold growth. This way, you can make room for dry air which will help kill some of the mold and get rid of any odors. Call Someone You Can Trust! Unfortunately, mold can sometimes overtake your home and embed itself into hard to reach areas, thereby causing huge damage. In the event that the damage is too big for you to handle alone, make sure you call someone who can take care of it for you! SERVPRO has been helping families get back on their feet for over 30 years. There's a lot of ground water in the soil surrounding a home, it is likely that there is lingering water in the gutters and there's water in the pipes and in other reservoirs. When temperatures start to fall, however, that water solidifies into ice. While we may not think much about it because it isn’t obviously visible to us, that ice could be causing a lot of home damage without our realizing it. To understand just how ice can cause home damage, here are a few methods to watch out for this year. Although the water has solidified into ice, in a way, it is still moving. Pressure and marginal temperature differences cause the ice to expand and contract. This can force the surrounding area to move, separate and can even crack or chip. It can also make pipes or whatever is holding that water become brittle and fragile. When the ice eventually melts, that separation may still be present which can cause water leaks and further damage. No one likes the idea of mold in the home. Just because water has frozen into a solid form doesn't mean that the lurking mold within is gone. Because mold spores are always present, if anything, it can actually be preserved. That mold can then quickly be spread as the ice slowly melts. As such, this mold can take over an entire wall if not treated quickly. This type of mold can be hazardous to breathe in, and can even begin to eat away at the walls/interior of the home. Regardless of season, it’s important to understand that mold can be prevalent at any time. Perhaps the most obvious problem stagnant ice can cause is water damage. Once that ice melts, that water begins leaking everywhere. Through the cracks that the ice caused by its pressure and shifting, that water can reach other parts of the home and damage them completely. This can become an issue that leads to costly damage and may keep you out of your home or business for an extended period of time. soon as possible. Contact us at (631) 585-0007 for rapid response and service! 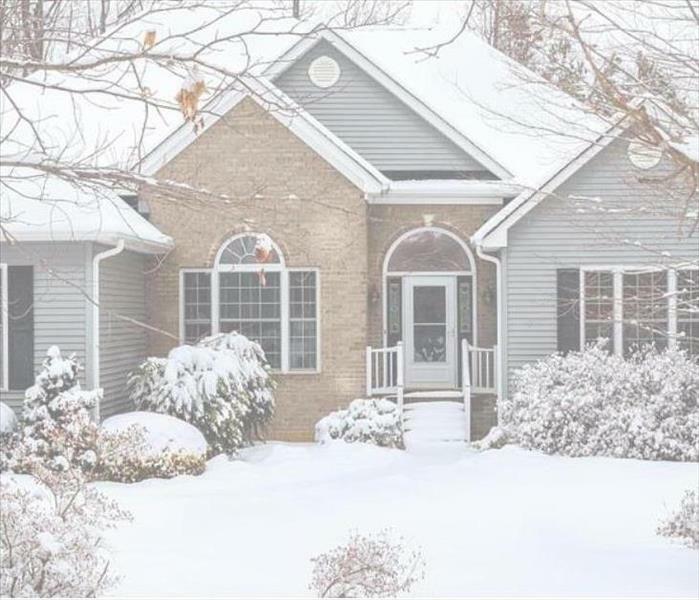 When the temperatures start to drop and the icy cold winds of winter appear, it is important to have your home prepared to stop major problems from occurring. By taking care of your home as early as possible, you can feel confident that you are ready for the cold weather to come on in. Safety and prevention are the keys to a good winter, so we’ve compiled a few things you can look out for in order to do so. Whether you have pipes outside of your home that are exposed to cold weather or inside that are uninsulated, it’s important to make sure that pipes that are not covered are ready for the temperatures to drop. Check outdoors, your attic, in crawl spaces and anywhere else that holds exposed pipes. Make sure that these pipes are covered BEFORE the temperatures drop to freezing to avoid frozen pipes, pipe bursts and major water damage. Small leaks, clogged drains, and other issues can get worse if they are not taken care of at the first sign of trouble. To get ready for winter, go ahead and take care of the minor problems that you may have noticed before they turn into major home damage issues. This can be anything from chipping exterior fixtures, small leaks, water spots and more. SERVPRO of Ronkonkoma is a locally owned and operated business with the team and resources to handle winter-based disasters of any size. We know that issues like these can be stressful, especially inside your own home. 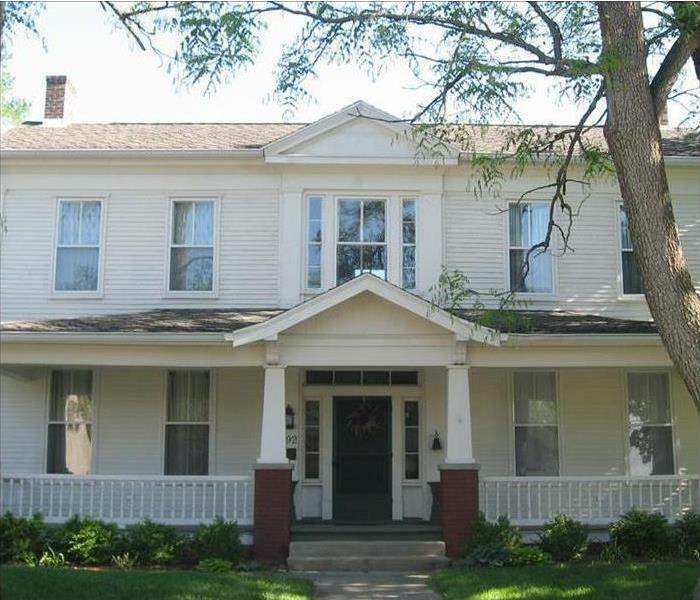 We are here to make the restoration process as seamless as possible. For all restoration services, call 631-585-0007 or contact us online for immediate assistance! With the holidays over for another year, we may be thinking ahead to next years festivities (It’s never too early, right?!?). Besides giving gifts to family members and friends, remember, the house should also receive a few gifts itself, if you haven’t done so already. By focusing on keeping up with maintenance on specific parts of the home, we can make sure our house lasts for decades to come. To reduce the amount of home damage and water damage our house receives, consider the following tips for having the house prepped for potential disaster. There are new innovations practically every year aimed at improving the durability of the exterior of the home. These can reduce the risk of developing home damage that occurs either due to extreme temperatures, storms or even tornadoes. Windows can also be put into place that offer better protection against shattering. This helps battle against water and storm damage which can creep into your home. If you are attempting to handle these disaster prep construction projects on your own, then it's prudent to know what tools you're going to need and how to properly use them. While these tools can help you prepare for damage that can occur due to inclement weather, it’s usually best to let someone handle anything that is considered to be minor to major repairs. Speaking of professionals, for those who really want to ensure that their home is safe from water damage and future home damage, having a professional do their job is the best bet. At SERVPRO of Ronkonkoma, we have extensive experience with damage remediation of all sizes, and can help your home or business in their time of need. SERVPRO of Ronkonkoma is dedicated to helping you enjoy your life quicker, without hassle. If you’ve experienced any type of damage due to the elements that summer brings, make sure to call us to learn more about how we can can assist when it matters most. 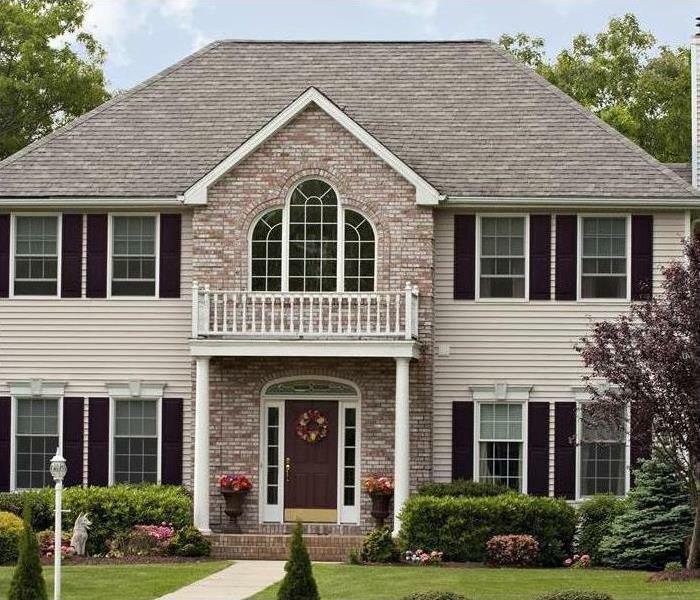 Give us a call today at 631-585-0007!